Have you recently taken a close look at your property? Does your lawn just not look as attractive as you think it should? That’s where we come in. At Assure Green Property Service, we can personalize a plan of action for you and your landscaping needs. 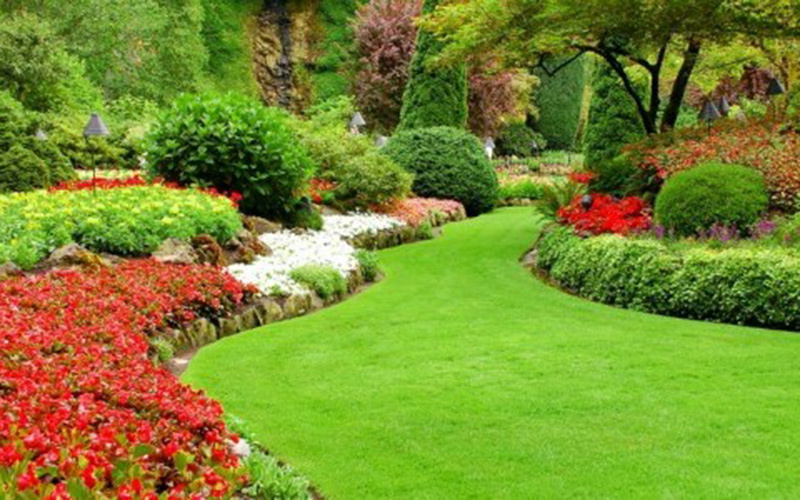 With our professional assistance your yard will be beautiful all year long. Our company is headquartered in Oldsmar, and for the past eight years we’ve serviced the Tampa area. We take great satisfaction in our workmanship and the solutions we offer. Assure Green is committed to every one of our clients. We are here to assist you with all of your professional lawn care needs in St. Petersburg Beach and the surrounding area. You won’t have to cope with faceless, corporate lawn care companies. We are all about providing a personal level of service to our customers. You are not merely a number to us, we treat your landscape as if it were our own. 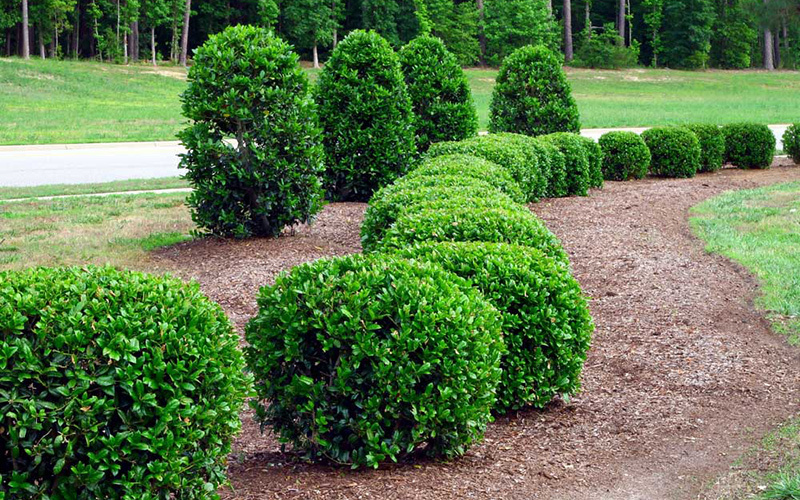 We understand just how much of an investment your trees and shrubs are. All of the professionals at Assure Green are trained and evaluated on their ability to identify any disease or deficiencies that might require fertilization along with plant damaging bugs. After a comprehensive evaluation is completed we will suggest a customized program. Our tree and shrub programs include fertilizer, insect and disease control. Your technician will monitor your plants and decide if they are responding to the treatment plan throughout the growing season. Residents of the Southeast must contend with a menacing introduced species of ant that causes blazing reactions from its victims. In contrast to other ants, these ants are generally hyper aggressive and they construct enormous mounds. The burning nature of these ants’ sting is what earned them the nickname “fire” ant. Because of their biology, imported fire ants cannot be permanently eradicated. But with a special treatment called Top Choice we’re able to guarantee to remove them from your yard for an entire year. Within a few days administering Top Choice your fire ant problem will be dealt with. Many people think that your home is safe from flea and tick trouble if you don’t own pets. Just because you do not have a domesticated animal does not mean wild animals such as squirrels or raccoons can’t drop fleas and ticks off near your home. The secret to flea and tick control is practical knowledge of their biology. While they’re vulnerable to insecticides during certain stages of life, at other stages they develop an immunity. If you’re hoping to get control over the situation you need the proper product in the proper place. In order to design a comprehensive treatment program. you must first examine your yard and home to discover harborage areas including areas conducive to flea and tick infestations. Then a qualified expert with a variety of products performs an initial treatment for fleas and ticks. 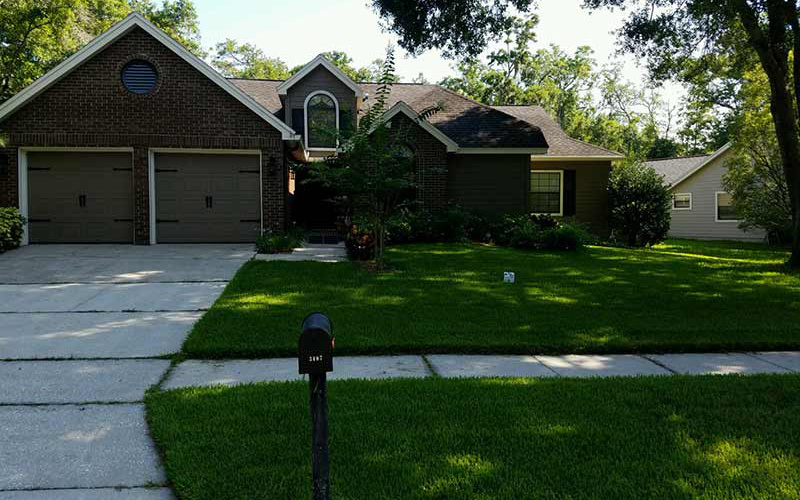 We tailor each application exclusively to the condition of your yard. When it comes to weed control, mulching is extremely practical. Mulching is one of the methods that we typically provide for our clients who are suffering from trouble with weeds in their flower beds and shrubs. Not only is mulching effective at preventing weed growth, but it helps to increase your soils nutrient content. There are both organic and synthetic forms of mulch. We consider mulching to be a vital element in an complete lawn maintenance program. No matter your specific reasoning for mulching, Assure Green is here to help. Mulching can aid in weed control to reveal the very best in your lawn and garden. Assure Green is the company to call for all of your sodding needs. 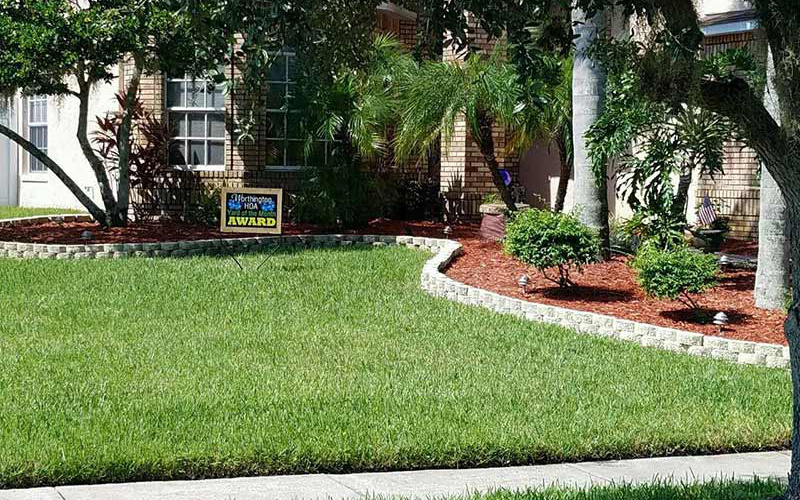 Whether you need sod installed, sod removed, sod replaced or virtually anything when it comes to sod services. We can handle any size job, from massive area jobs to small residential patch jobs. We install all kinds of sod. It is important to only take advice from experts. There is no one size fits all solution because every lawn is unique. An Assure Green technician with investigate your lawn, take the proper measurements and pictures to provide you with a detailed quote for your particular project. The Sabal Palm is the state tree of Florida. It should come as no surprise that of the over 2500 varieties of palm trees almost all of them can be grown in the Sunshine State. The internationally recognized center for research of ornamental palms is located at The University of Florida – Ft Lauderdale Research & Education Center. It is crucial that palm tree owners are knowledgeable on the proper care for these trees. Very often a palm tree will die simply from inferior maintenance or even fertilizer burns. At Assure Green we utilize the UF guidelines for proper palm tree fertilization as part of our all-inclusive program. You might not recognize this, but it is possible to transfer diseases between palm trees merely by using inappropriate pruning procedures. Our techs are taught to inspect and treat properly. As reported by the U.S.D.A., Japanese beetle grubs alone are responsible for an estimated $234 million in destruction each and every single year— $78 million for control expenses and an extra $156 million for damaged turf replacement. You may not know it, but grubs are merely immature beatles. They hatch from eggs that are laid in the soil. They have many life cycles throughout the year. During their early stages of life they occupy the soil and feed on plants and turf roots. If you start to notice that your turf is progressively declining you could possibly have grubs. Turning to yellow, thinning and ultimately die because it is not able to uptake any moisture. These patchy yellow areas can be spread throughout your lawn. You might also be able to pull patches of the turf right up as there is simply not a root system fixing it to the soil. The simplest way to protect against more damage is to use a preventative insecticide, this is particularly true where you have had repeated grub problems. Preventative treatments permit us more flexibility in application time. We will apply a long residual insecticide protecting your lawn from grubs ever causing more damage. Round Up will kill anything that it is sprayed on, be it weeds or plants. For this reason you need to be mindful when you use a non-selective weed killer. Upon request, our technician can apply Round up for you. If you would like your weeds sprayed in your shrub beds or an area killed off we can take care of any of your issues. Round Up is not a part of our typical services mainly because we do not come to your property enough to maintain control, but if we are asked we will apply it for you. Do you have a yard that regardless what treatment it gets it never seems to stand out? If nothing seems to work we can take a soil sample from the yard to figure out if there is a deficiency. The soil sample that is taken is delivered to a lab where they examine what nutrients are in the soil. The results of these tests can prove invaluable when it comes to restoring a damaged yard. We have been received an A+ grade by the Better Business Bureau. Our team is ready to help you get your lawn the way you want it. 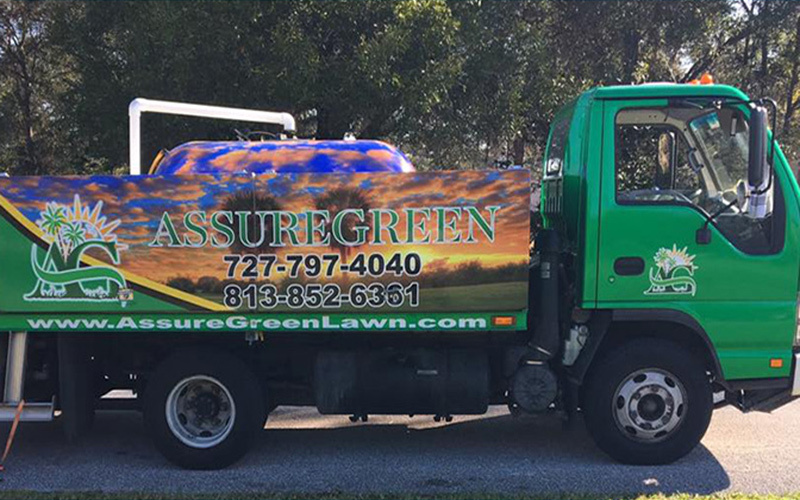 Simply contact us at (727) 797-4040 if you’re looking for lawn care services for your yard or business property in St. Petersburg Beach. We can come out and evaluate your yard and give you a free quote.